By now most of you have probably heard the popular song, “what does the fox say?” that is sweeping the Internet. And as a result of its popularity, many spoofs of the song are popping up all over the place! 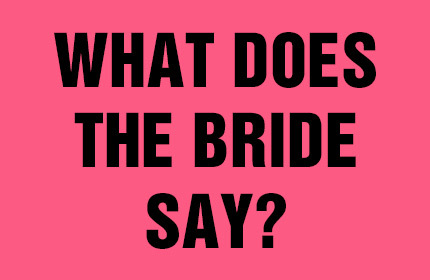 We couldn’t help ourselves and had to put a clever spin on this well-liked song, so we created, what does the bride say? 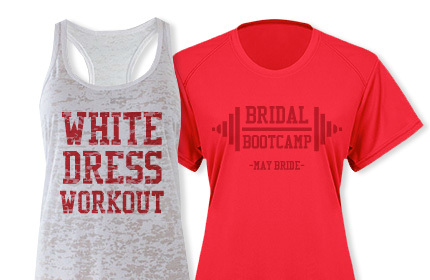 bridal shirts! We didn’t just stop there though! 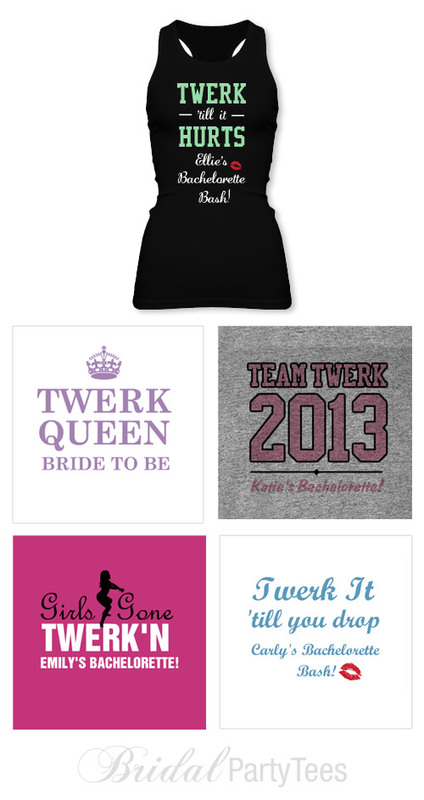 We’ve added shirts for the groom, and bachelorette too! 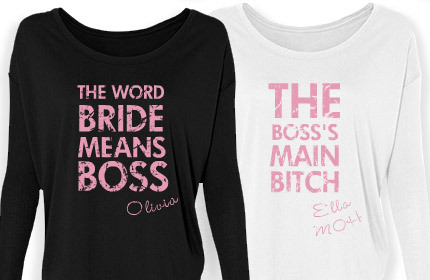 What makes these shirts so entertaining is that no one will know what the bride says until they read the back of her shirt. These designs will create a little suspense and a lot of excitement when you are celebrating before the big day! 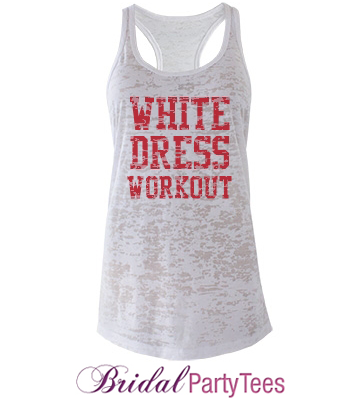 If the saying on the back of the shirt isn’t quite what you were looking for and you have a different one you’d rather use, no problem! Just place the shirt in our design center and switch the “I do, I do, I do,” to something else like “diamonds, diamonds, diamonds!” Either way, you have a shirt that everyone will instantly connect to the trendy, what does the fox say song! Still wondering what the fox says? If so, check out the video that is all the craze right now and while you’re listening, design your new what does the bride say? 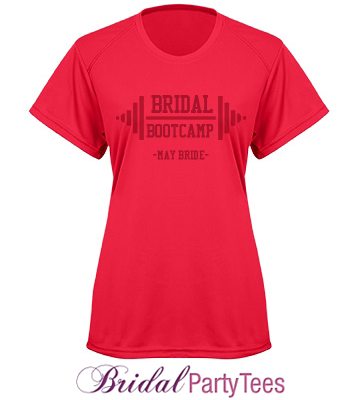 bridal shirt! 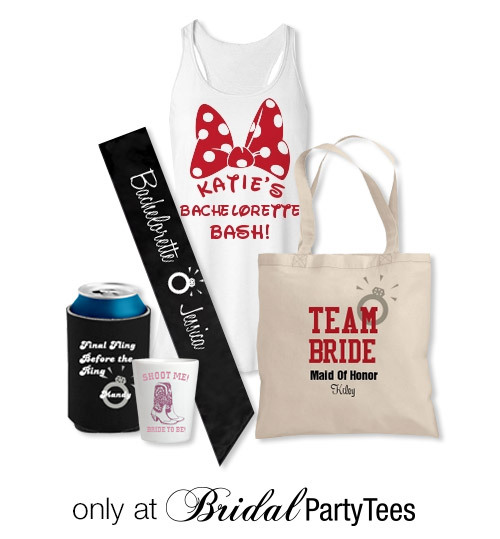 When planning a bachelorette party, there are a few must-haves that no party can do without; one of which is the bachelorette party sash! Not only will this accessory get the party started as soon as the bride slips it on, but it will also announce who the bride is at every stop you make for the last hurrah! 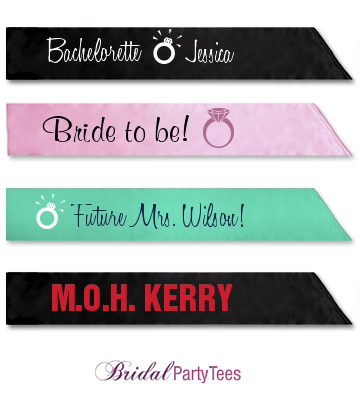 Here at Bridal Party Tees, we know every bride is looking for a sash that will fit her wedding and style, which is why we make it super easy to customize in just minutes! 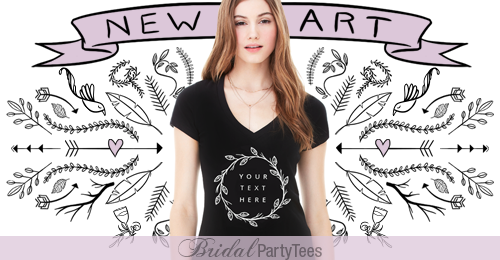 Add some fun wedding or party art as well as some text to jazz it up and make the bride feel extra special on her last night out! 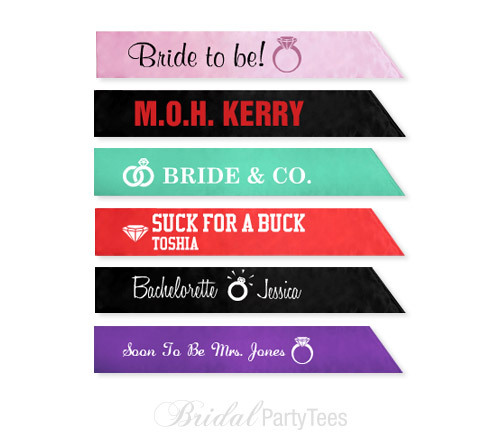 Either keep the text on the sash simple with something like, ‘the soon-to-be bride’ or give it a little more of a pop with something unique tailored for the bride that is being celebrated. 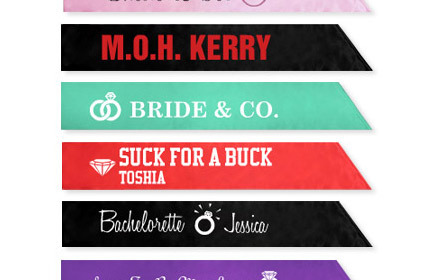 A bachelorette party sash is, without a doubt, required for the bride, but who says the entire wedding party can’t enjoy them either? Since we have nine different colors of sashes to choose from, go ahead and customize a sash for all the bridesmaids and the maid of honor! 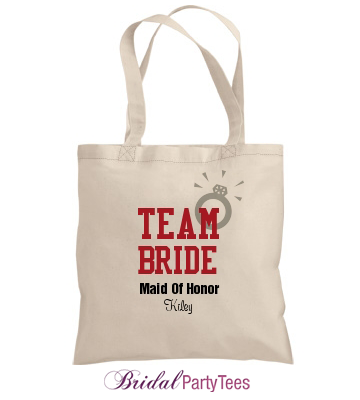 Use one color for all the bridesmaids and another color just for the bride, so she stands out from the group! 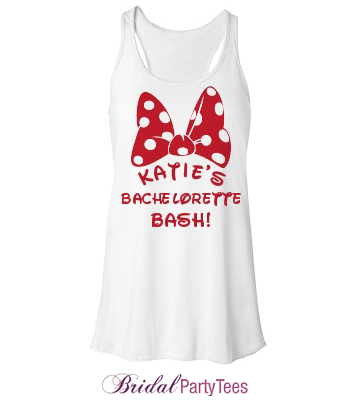 And, if the sash makes it through the craziness of the bachelorette party, it could even be something she wears as she is getting ready the day of her wedding! 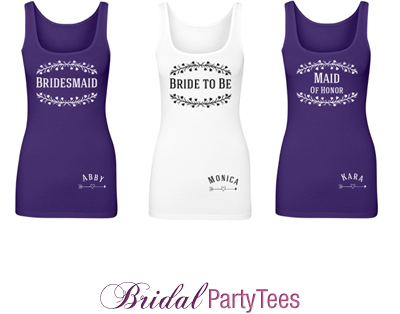 Looking for bridal party shirts that are new and fresh that haven’t been seen before? 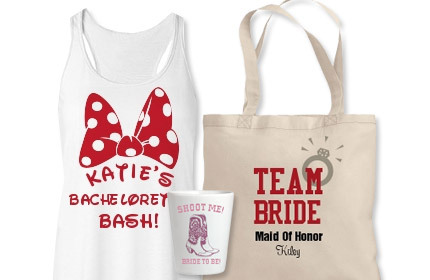 If so, check out these new bridal party designs just released! 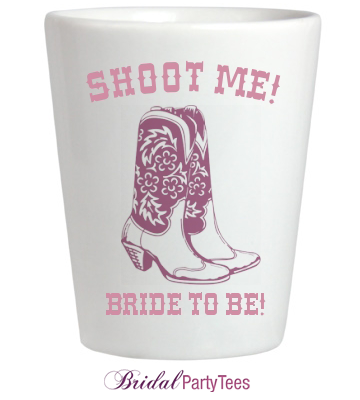 If your the bride, your the boss and what you say goes! This cute scroll art will be sure to get you noticed! 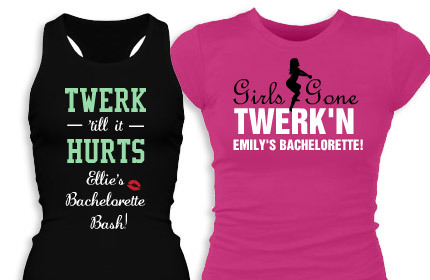 Check out these new Haute Couture shirts! The wedding ceremony is not complete without the rings, so the little man you choose to be in charge of the bling for your big day has a lot riding on his shoulders! He not only has to look good in his tux, but he has to provide the much needed security to keep the rings safe and sound until they are needed. 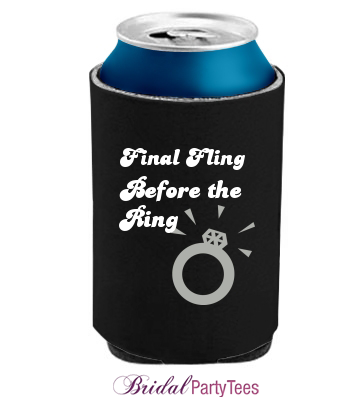 When you and your groom decide who the ring bearer will be, he’ll probably ask what a ring bearer is. After you explain the big role you want him to fulfill, he will relish the idea of having a moment in the spotlight as he delivers the rings to you on your wedding day. To help make sure your ring bearer is fully integrated as a member of the wedding party, create a custom ring bearer shirt for him to wear before and after the wedding! With his custom ring bearer shirt on, everyone will know how important of a role he plays in the wedding! Your ring bearer will love having a custom shirt with his name on it, along with the date of your wedding! He might love it so much that it could be a struggle to get him out of it and into his tux for the ceremony! When selecting your wedding party, it’s important to consider your closest friends and relatives to fill the roles, no matter what age! Choosing your flower girl is no different; she is just as important (if not more so sometimes) as every other member of the party. As the last attendant to walk down the aisle, she adds the final touch to the event by sprinkling flower petals as she goes, and will probably create a couple of smiles and awes along the way before you make your grand entrance! 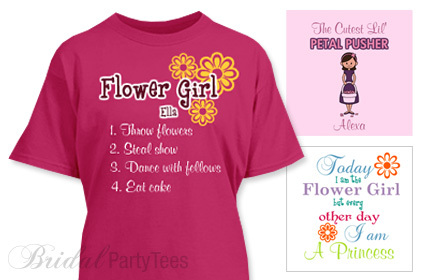 So with such an exciting and significant role in the ceremony, the flower girl deserves her own custom flower girl shirt! As you are busy planning away, sometimes it is easy to forget how excited kids can get when the “big kids” invite them to be a part of something. 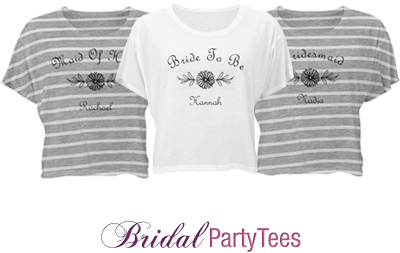 A custom flower girl shirt is the perfect solution to keep your flower girl happy and involved in what the rest of the bridesmaids are doing! 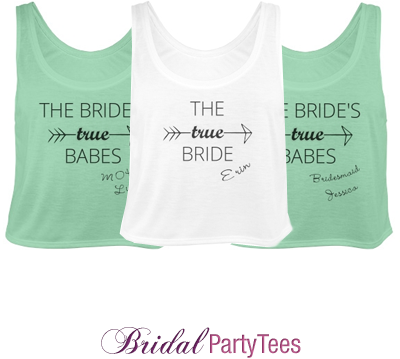 Best of all, it is super easy to customize a cute shirt for her as you are customizing the rest of the shirts for your wedding party! 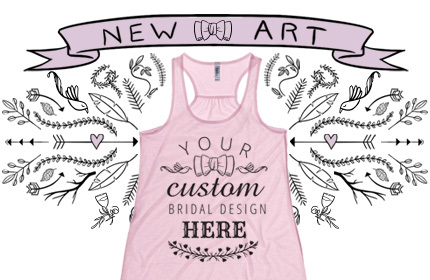 Personalize her shirt by adding the date of your wedding, her name and any of the other wedding art we have available for you to choose from! Have a ring bearer in the wedding also? Perhaps the flower girl’s younger brother was also asked to be a part of the wedding too? No worries! 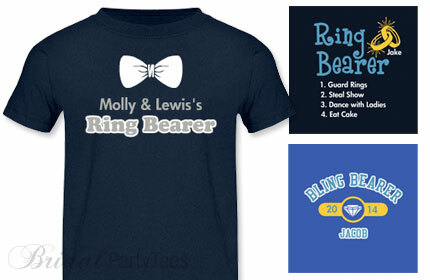 We have tons of customized ring bearer shirts and accessories available to satisfy his need for attention too! Now, not only will the flower girl (and ring bearer) have an outfit to wear to all the wedding events, they’ll have a great keepsake to remember your wedding for years to come!